Surprise your loved one with a romantic treat. Together you’ll connect while we help you relieve stress, tension, & improve your body circulation. Please arrive 15 mins early to consult with your therapist. Share your massage experience with the one you love in our spacious Couple’s Room. Lie down side by side in a warm cozy room & heated beds. Price is based on the type of massage. Refreshment will be served to complete your experience! Not sure what to pick here? Need help to customize another Couple’s Package? 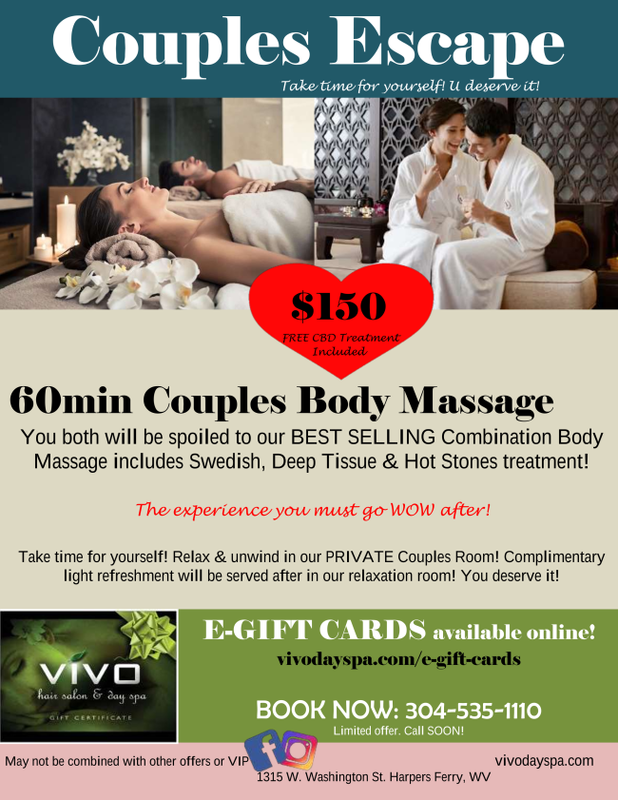 Please talk to our Spa Manager at 304-535-1110.